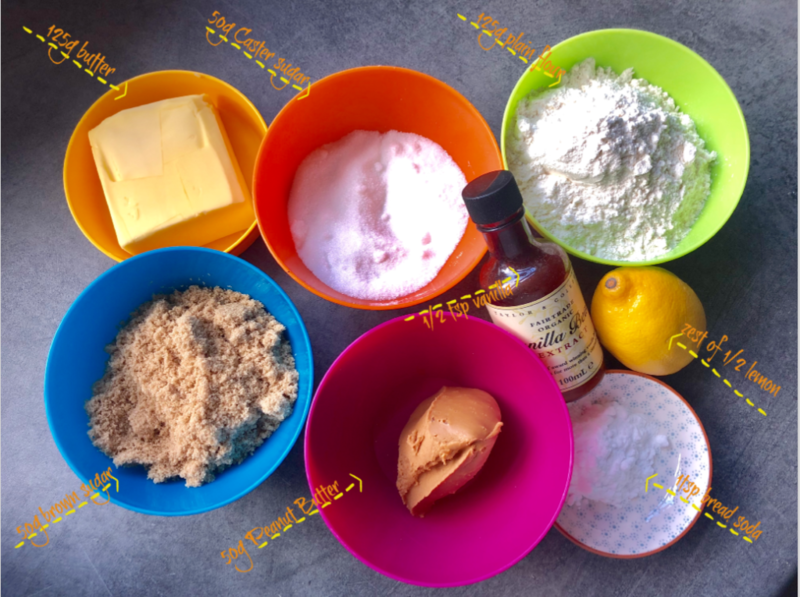 Week 3 on the weekly cookie challenge – last week I gave a cookery class to some kids and wanted to introduce peanut butter but I learned that you can’t make children eat anything they don’t want to try. So I ended up with a full jar of peanut butter. 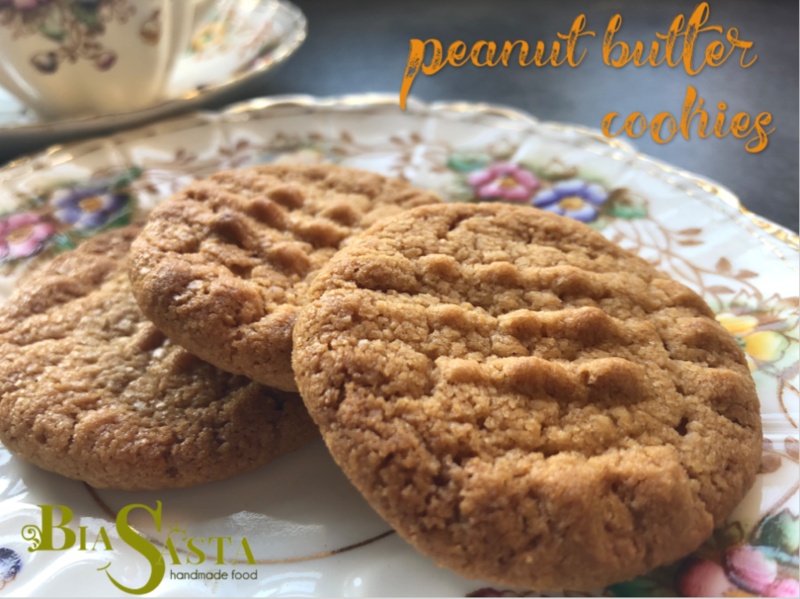 To be honest, I am not crazy about peanut butter but find it to work well in cooking and baking hence the peanut butter cookies for this week’s challenge. They turned out better than I hoped and don’t taste ‘peanutty’ (peanuts are the only nuts I really don’t like as a snack) so would be perfect for kids as well (just don’t tell them it’s peanut butter). I used smooth peanut butter in this recipe, simply because that’s what I had. Although, I have not tried it with the crunchy version but think it would work. Pre-heat the oven to 160C (make sure to bring the temperature up before baking the cookies). In a bowl, cream together the butter, vanilla, lemon zest, caster and brown sugar and peanut butter until pale in colour and fluffy. Sieve the flour and baking soda together and work into the butter mix. This works best with a wooden spoon. You might need to use your hands to bring the dough together. Roll walnut-size pieces of dough into balls and place on a baking tray (I cover my baking sheets always with baking paper) 2cm apart (they will spread). Using a fork (dip it into flour to prevent sticking), press the dough balls down slightly. This will leave a nice pattern on the cookie. To make the cookies look more interesting I pressed the fork down in two directions. Bake for approx. 12-15 minutes or until light golden. Leave to cool on the tray for a few minutes before transferring them to a wired rack to cool completely. They will crisp up nicely while cooling.